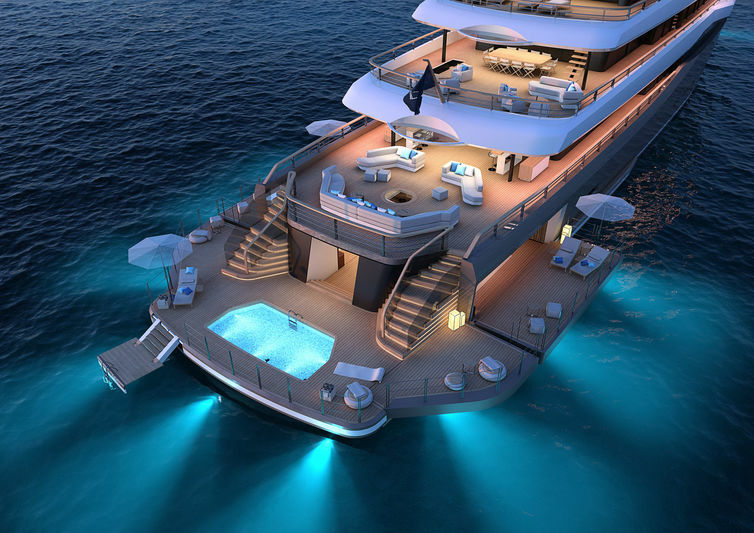 Moonflower is the newest 70 meters superyacht which was shown by Nauta Yachts. This required project will begin by the end of this year. 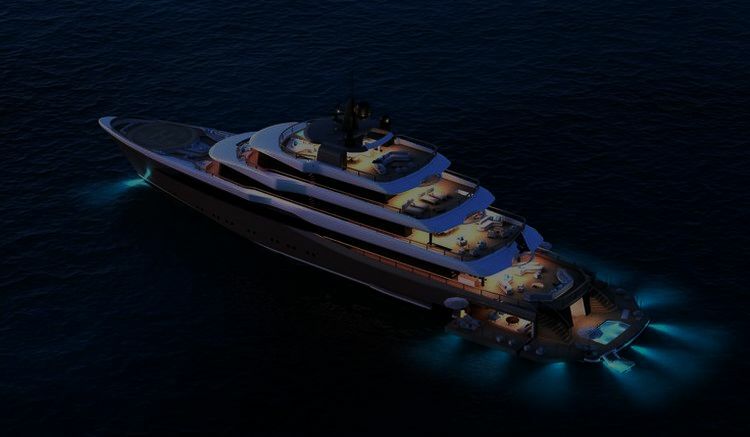 The whole project of building this luxurious beauty is going to take place in Italy, and the connoisseurs of naval architecture and engineering have been said that the building of the boat will rise to a higher level. Moonflower we can expect in 2021/2022. 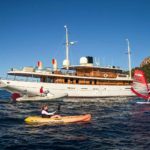 On this superyacht, you can recognize typical Nauta`s design that is clean and uncluttered. Moonflower includes five decks and 1,450GT, beach club with lounge and fire pit. Opening terraces will be decorated with enormous Nemo window. 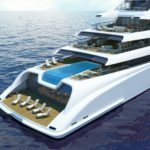 On the stern platform you will have a sea-water swimming pool, and next to the beach club there will be a spa and wellness area with a hammam, sauna shower and changing room.The experience on this boat is like in a five-star hotel on some exotic island. The upper deck on the Moonflower is reserved for the owner with the access to the helipad. Owner`s master suite will have 87 square meter and large glass windows. 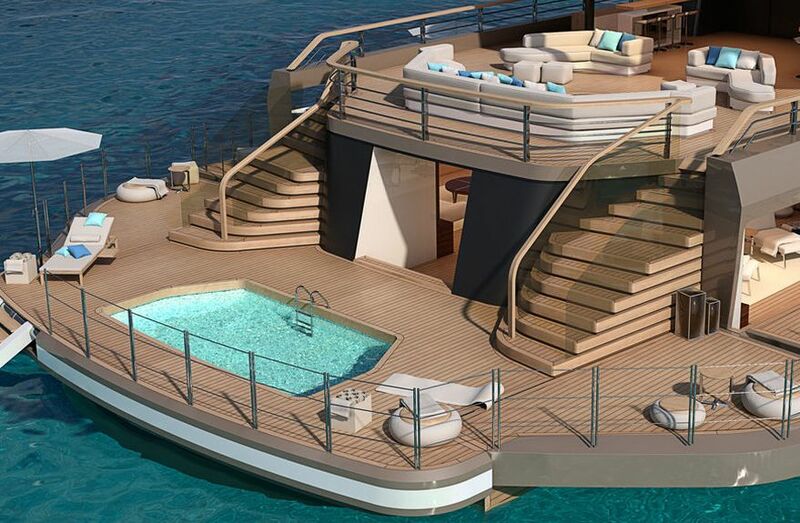 This superyacht will include elevator, lift and circular staircase. 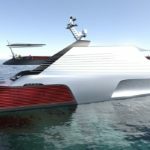 Moonflower will have two electric motors (1500kW @1800rpm) and she can run at top speed of 16 knots. Also, this luxurious beauty can be powered with five diesel generators. 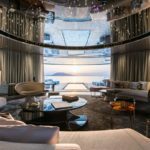 “Innovative design, lots of open-air space, close contact with the water, light-filled and airy interiors, flexible layout and furniture solutions… these were the ‘must have’ features requested by the owner that drove the exterior styling, general arrangement and interior design,” said Mario Pedol, Nauta Yachts co-founder, when he was asked to describe the Moonflower.